Hi-Tec men’s outdoor footwear features a wide range of walking shoes, multi-sport trainers, outdoor sandals and waterproof hiking boots. Breathable, lightweight, and exceptionally comfortable, our collection of men’s outdoor footwear is ideal for coastal walks, bike rides through the woods, walks along the beach, and those rugged trails. Hi-Tec women’s outdoor footwear features a wide range of walking shoes, multi-sport trainers, outdoor sandals and waterproof hiking boots. Breathable, lightweight, and exceptionally comfortable, our collection of women’s outdoor footwear is ideal for walking the dog, bike rides through the woods, walks along the beach, and those coastal treks. The Dri-Tec membrane gives you superior waterproofing and excellent vapour transmission to maximise your performance in even the wettest of environments. Millions of microscopic pores in the Dri-Tec membrane allow water vapour to escape without allowing water droplets in, keeping feet dry and comfortable. Vibram® is the world leader in high performance rubber compounds. Vibram® soles are always produced with three objectives: Traction, Comfort and Protection. Over 1 million km of testing on Vibram® products to ensure the highest performance. Over 70 years of knowledge and expertise producing the world’s best rubber soles. Make products for companies in over 120 countries worldwide. 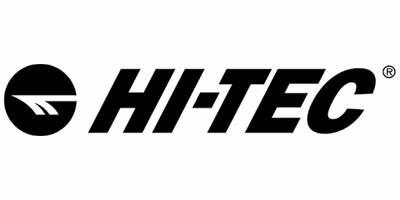 Thermo-Dri is a unique technology developed exclusively by Hi-Tec which integrates Thinsulate™ insulation from 3M with Hi-Tec’s Dri-Tec waterproof membrane, keeping feet both warm and dry. The unique fibres of Thinsulate™ insulation are about ten times smaller than the fibres of other synthetic insulations, which means they’re much more efficient at trapping air…and much more effective at keeping you warm.